Tinkering with tools: What’s up with Yammer? | Agile KM for me… and you? This entry was posted in Communication, Tinkering with tools, Tools & approaches and tagged CGIAR, ILRI, micro-blogging, user perspective, Yammer by Ewen Le Borgne. Bookmark the permalink. Thank you both for your comments and offering support on Yammer. Please note that in spite of the points for improvement I mentioned, the blog post indicates that we are/I am happy with Yammer and that we hope to have enough uptake by staff little by little. @Maria, I totally agree with you that a lot of shortcomings are due to the use of the tools rather than the tools. This is also what I preach around me for all the web2.0 skeptics. However, I do think that e.g. the notification settings could have been a lot less email-heavy than they are by default (in the free version anyways). I understand about the pages (and anyway at this stage only a few of us are working with pages here) and indeed good to remind everyone to follow topics to receive relevant notifications. 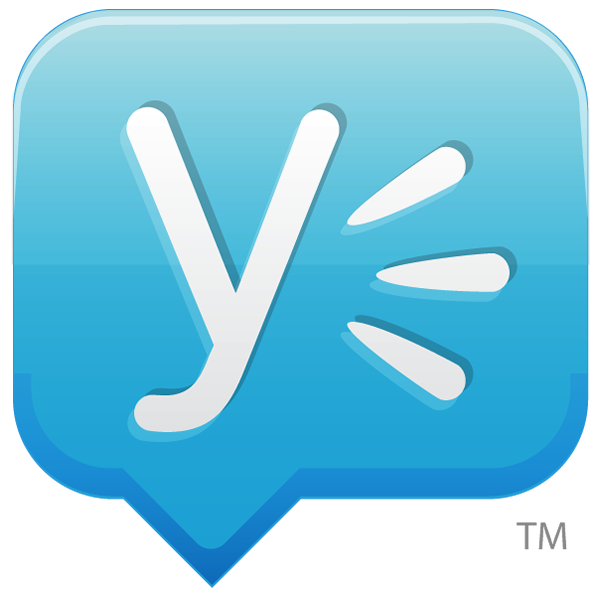 My name is Maria, and I manage community and social media efforts for Yammer. I found your blog, and wanted to thank you for writing this in-depth post and for your discussion of what you like about Yammer, as well as areas for improvement. I definitely agree with you that with a communication platform like Yammer, usage can’t be mandated from up top, and success is determined by the ability of users to find their own use cases and successes. That being said, it’s important to figure out as an organization what business objectives this tool will help you meet, and establish best practices that move the process forward. For example, let’s consider the usage of groups and topics. They are a great way to find what you need and receive the right information delivered to you. But for that to happen, other people have to put the right posts into the right groups. To maximize the value, it’s very important to make sure everyone is on the same page. On the Yammer blog, you may find a few resources that can help you guide in the process. I’d also love to connect you with a local Yammer employee to help advise you in your journey. 1) Default notifications — do you mean default emails? Each user can set up notifications for each group and each type of message. As far as overall notifications within the product, we are working on a few things that will give better visual cues to where attention should go. 2) Tag functionalities — that’s not something that we have planned currently. To rename topics, you can do that from inside the post. Just delete one topic, and attach another one. Topics can absolutely be used in public groups, just not private ones — at least not yet. 3) Pages – this is a new product, and there are quite a few enhancements coming. Pages are a big area of focus. Please feel free to expand on how you use topics. 4) Re: following — this is why we have other feeds that don’t depend on following. To make sure you receive what you need, follow topics and groups. Thanks for checking in! Yes, my experience of Yammer has been very positive overall – and about the intranets I didn’t mean just the IRC intranet but other intranets I’ve seen in other organisations too. Your farewell party sounded fab! Just checked your blog – you must have been a happy man, and duly tributed by Cor and the likes indeed. I’m really glad that IRC is going to work further with you, they would be fools not to! And yes, come visit us in Ethiopia after your Asia trip! Hi Ewen, great you are sharing these lessons on Yammer at ILRI “is way more effective for sharing information than any intranet I’ve been given to check or use in the past 10 years.” I forwarded to Cor. On 18 January I had a fabulous retirement party at IRC after 40 years of working, nearly 30 in the WASH sector, see my blog http://dijoh2o.wordpress.com/. IRC is hiring my expertise in the next few years starting with 25 days this year. I hope that I can visit Ethiopia and you in one of those years. My first ‘pensionado’ trip will be end January to Bangladesh, India, Sri Lanka and Dubai.